#Blog 365 Note to my students: The Disney movie Pocahontas is not accurate! It's that time of year in the curriculum when we begin on the timeline learning about Jamestown, Pocahontas and the Powhatan tribe. Guess where my students have gotten all their knowledge? You got it, from the Disney movie! Don't get me wrong, at least they know that Pocahontas was alive, but that's about as far as it goes!!! Today, I taught a great lesson to my teammate's class (we rotate with science and ss). We used prior knowledge, practiced geography skills, math vocabulary and pounded syllables in Atlantic Ocean. We analyzed the primary source map by Captain John Smith, worked in groups analyzing current photographs with Moffat, read a story of Pocahontas, and watched a mapping video from the Jamestown settlement. The kids were completely engaged. I will have to say, I was rather impressed with them when they were analyzing the map. 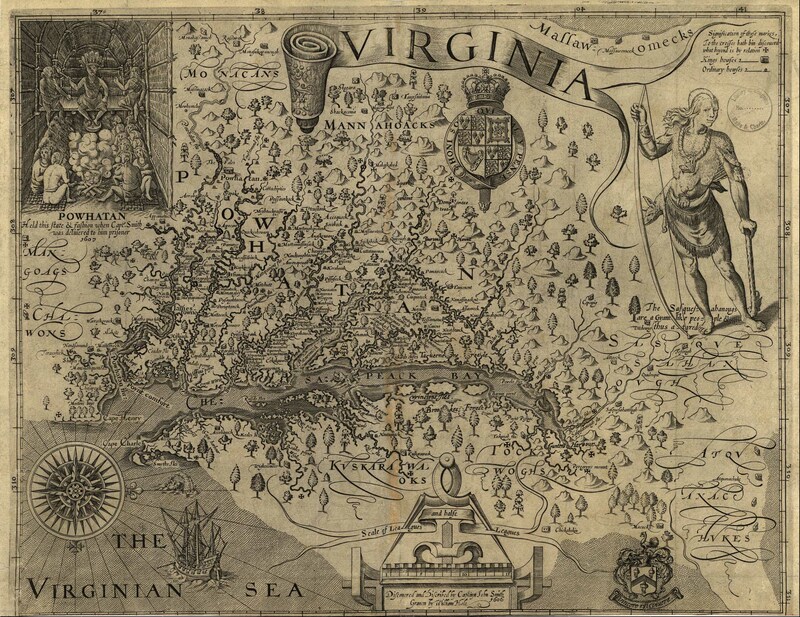 They picked up on the compass rose, the title of Virginia and the smaller image of Powhatan in the upper left corner. As we discussed our prior knowledge or the students justified their answers, the same point of reference continued to resurface. All of their knowledge was from the Disney movie!!! HELP!!! One of my students even proclaimed that one of the posts in the recreated Powhatan home was where John Smith was held captive and he knew this from the movie. As I have been referencing other articles from historians, it is noted that Disney never intended the film to teach accurate history. Obviously! For older students, the movie could be a tool to compare and contrast with accurate resources to discern discrepancies. For my students, with a short amount of time, it opened up a good discussion regarding accurate sources for information and times when that information needs to be questioned.